The thirteenth Tarot card is Death, and he is a symbol not of the end, but of transformation and rebirth. 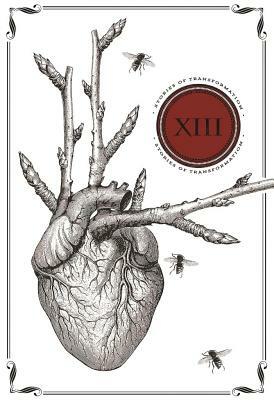 This is the genesis and root of Thirteen: Stories of Transformation. The twenty-eight authors of this collection are voices--new and old--who are not afraid to explore what comes next. Whether it be a life after death, a life without love, a life filled with hunger, or the life shared by a ghost. These are stories of the weird, the mythic, the fantastic, the futuristic, the supernatural, and the horrific. The ghosts of the past have been eaten by the children of the future: this endless cycle of birth, death, and renewal is the magic of thirteen. Do not fear change. Embrace it. Let Thirteen be the handbook for the new you. Mark Teppo is the author of nearly a dozen novels including Rudolph!, The Potemkin Mosaic, Lightbreaker, Heartland, and Earth Thirst. He was the showrunner and head writer for the Foreworld Saga, which included the three volume Mongoliad. He is the founder and publisher of Resurrection House, an independent publishing company which embodies a fierce affection for the printed book. He is a synthesist, a trouble-shooter (and -maker), a cat herder, and an idea man. His favorite Tarot card is the Moon.